For some reason, I don’t remember The Shining playing out exactly this way. But then again, I had to close my eyes once the blood started pouring out of the elevator and that wrinkly naked lady showed up. 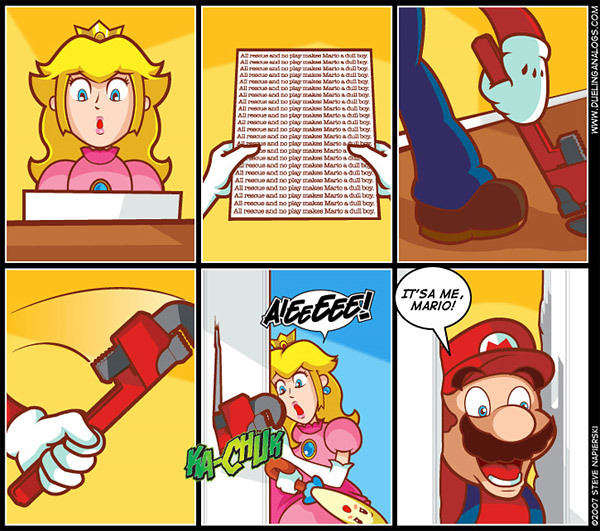 I sincerely hope that Princess Peach uses her umbrella like a baseball bat and whacks Mario over the head in the next panel.